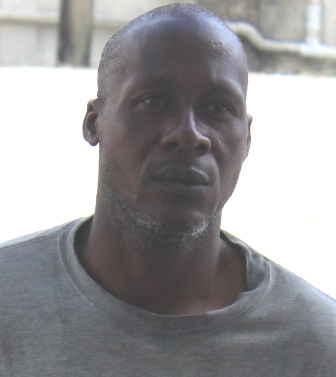 Forty-two year old Lincoln Moguel, an unemployed former taxi driver was remanded to prison today for a charge of burglary after he pleaded not guilty. On Monday, August third, Carla Cleland reported to police that Moguel entered her home in Belama with the intent to cause her bodily harm. She told police that she arrived at her home around three o’clock and when she opened the door, a man walked in behind her, sat down in the room and closed the windows. That’s when she dialed nine-one-one. But in court, Moguel told Senior Magistrate Sharon Frazer that Cleland invited him into her home and offered him a cup of water. Moguel was denied bail and remanded to prison until October sixteenth. In another unrelated matter prior to this incident, on that same day, Moguel was convicted of taking property without authority. It is reported that Moguel entered the compound of the Raccoon Street Police station and jumped into a parked police mobile and drove out of the parking lot. He was stopped, arrested and charged. Is There a Dengue Outbreak in the West?